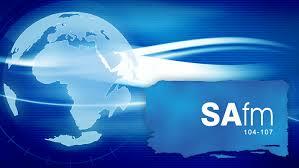 SAFM live Streaming Online . It is South Africa's News and Information Leader . SAFM Radio is the SABC's national English language public radio station with its headquarters at Radio Park, Auckland Park, Johannesburg. Postal Address : P.O. Box 91162 , Auckland Park , 2006 . Physical Address : 6th Floor , SABC Radio Park , Henley Road , Auckland Park , Johannesburg , South Africa .